Elayne began Suzuki violin lessons at the age of 11 at the first Suzuki school in Toronto, after studying piano with her mother since age 5. Her early Suzuki teachers were Erica Davidson and Hazel Comer. During high school, she was an accompanist for many Suzuki classes, and achieved her Grade 9 piano, and Grade 10 violin certificates with the Royal Conservatory of Music. She attended the University of Western Ontario, and received her HBMus (Performance) studying with Lorand Fenyves, and her BA in Psychology (Child Development). 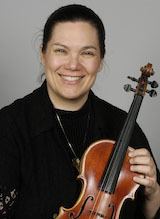 Elayne has worked with many wonderful Suzuki teachers while pursuing teacher training, including Alice Joy Lewis, John Kendall, Margery Aber, Nancy Lokken, Becky Sandrok, and Brian Lewis, and in 2002 became a registered violin Teacher Trainer with the SAA. In 1984, Elayne began teaching in Huron County, Ontario, and in 1988 she founded the Huron String School when she moved to Goderich. The school offered violin, viola and cello instruction, orchestra, senior ensembles, group lessons, Theory/Music and Movement classes and a Baby/Toddler class. She also conducted a community Band of all ages in Goderich for 19 years. After 26 years with HSS, Elayne began teaching full time with SSSG, teaching all ages and levels, and including the beginning orchestra class. She has been on the faculty at Institutes and Suzuki workshops across the US and Canada, and has adjudicated for music Festivals throughout Ontario. She is the Past Chair of the Suzuki Association of Ontario, is the Violin/Viola Director for the Southwestern Ontario Suzuki Institute in Waterloo, Ont. 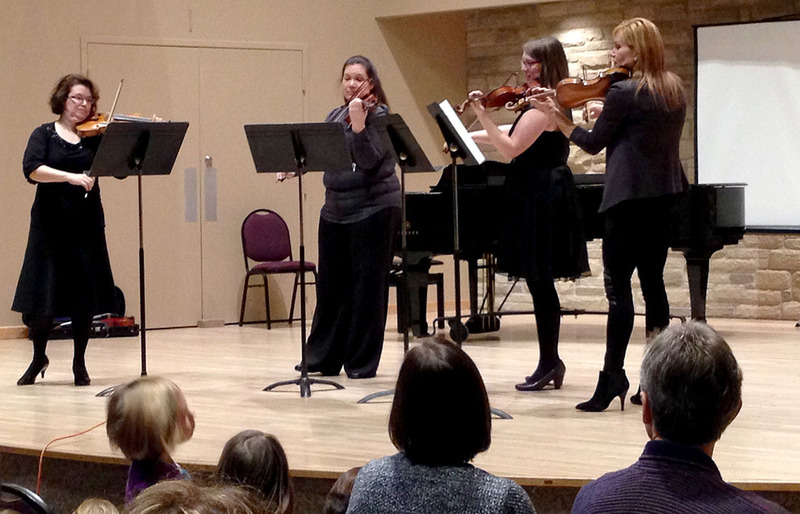 each August, and is a member of the Guelph Symphony Orchestra.